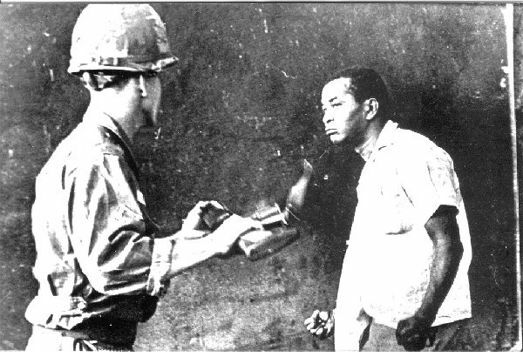 This photo is one of the most famous from the 1965 American Invasion (or Intervention, depending on which side you take). An unarmed Dominican man refuses to be searched by an American militar. Provocante, no? I am so excited to finally be in the DR to research this war, La Guerra de Abril, for a novel, thanks to a Fulbright Grant and those willing to support me. In the coming weeks, I will be interviewing people who were affected by this civil war and subsequent invasion, researching in the national archives, and working on the novel. If you know someone who would like to be interviewed, please let me know. I am looking for all perspectives and a broad range of details, so it doesn’t matter if the person fought for the Lealistas or the Constitucionalistas, whether they picked up a gun or got behind a cockpit, or if they were just living in Santo Domingo and were affected by the division of the city.